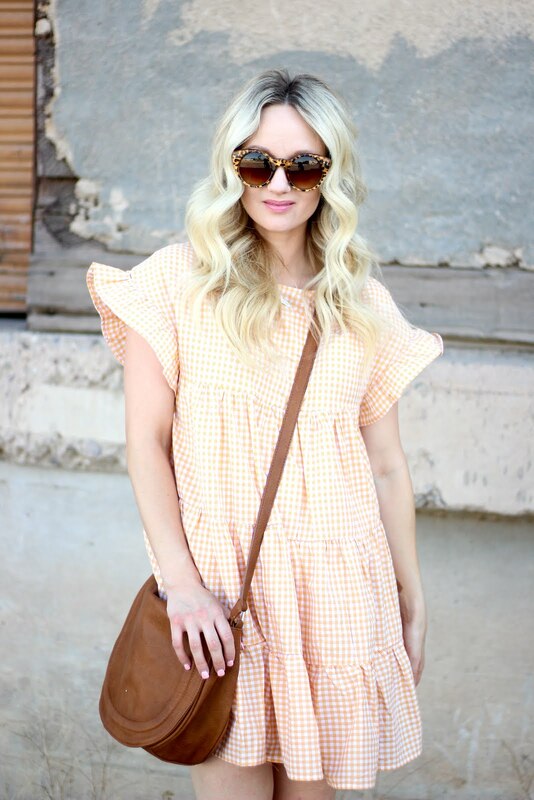 Are you guys sick of all the gingham?! I guess you can say I am addicted. 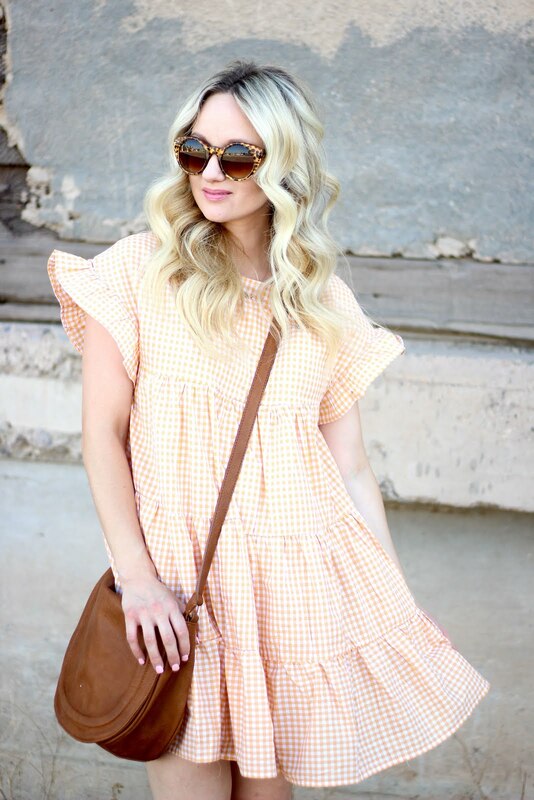 This little gingham dress is under $20 and I am in love! I love the orange and white combo, perfect colors for summer! And the flutter sleeve and ruffle detailing is my favorite! 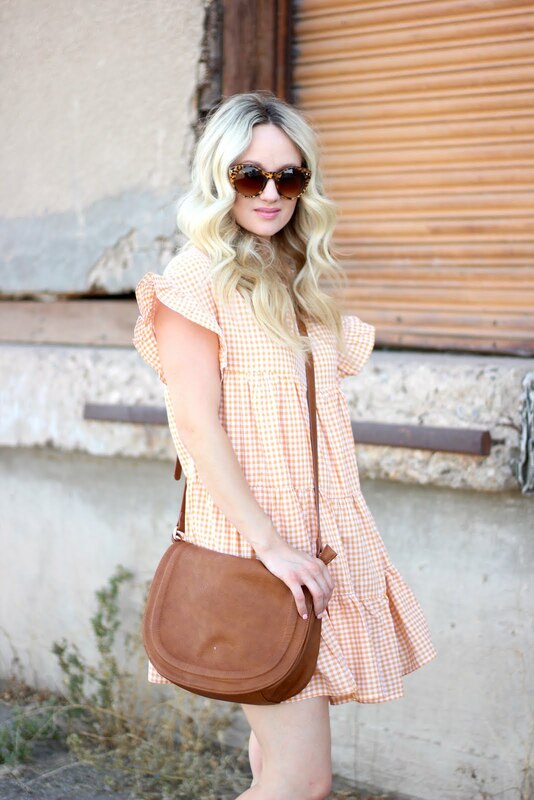 Its the perfect like dress to wear all summer long. I paired it with some wedges, but I have also worn it with flat sandals and it is super cute to run around it.